Dirty MTB Route I found last year. Decided to try it on the MTB. It was rought, but refreshing, in this all-road season! Check back for more photos, and video footage once the material is processed. Tour of Tucker County, GO! 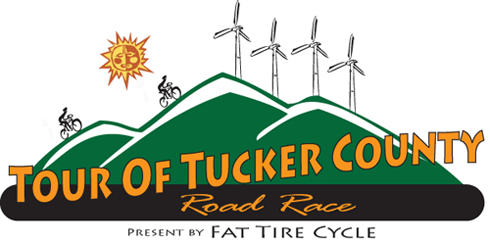 The Tour of Tucker County is going to be a hit. This is possibly one of the toughest races on the East Coast. Everyone who has written about it says this ride is clearly for the grimpeurs. 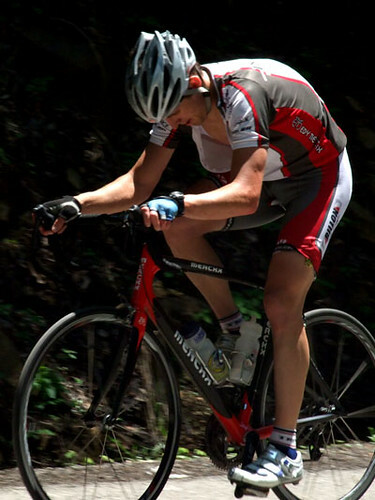 According to last year’s race, there is almost 6,000ft of climbing in 37 miles. The pace up to the first climb is going to be fast since it is a slight downhill, but the first hill is a rough. I wouldn’t suggest trying to attack before it, unless your legs are used to doing the speaking for you; just save your energy. At about 6.75 miles in, you will reach the first climb which will last about five miles, with a few flatter rolling hills, then one mile of brutality. At mile 24 or so, there will be a fun downhill that will bring you to a valley before the final six or seven mile climb that only ends once you complete the race. Someone gave me a link to an event in West Virginia that I thought should be shared with everyone; it is called the Crying Wolf Challenge. This event is going to be located in Mercer County, WV and held on May 16th, 2010. (Mixer on May 15th) It is primarily hosted by Bill Cole Subaru, which some people may be like UGH CARS? Two Wheels forevarrr!, but I think it is a great promotion and really brings people from all over the state together. The event also has its own big, crazy website with all sorts of social networking widgets and places to register for everything from the race to getting a tattoo of the race standings on your neck. With multitudes of riders, each riding in a local area instead of riding outside the state based on their own interests and needs guarantees a broader range of marked and known trail areas. Racing culture increasing and more riders competing is the best way to make sure that you have a riding partner or someone to learn from, not to mention larger group rides over long-term. Riders typically seem to be a bit more environmentally aware of their settings because they are around it more and at a slower pace. This helps sustain a more vibrant, useable area. These benefits in turn reduce automobile use and possibly sprawl, habitat loss, and air/water pollution. LBS’s require comparatively little infrastructure and make more efficient use of public services relative to big box stores and franchise developments. Local business starting fuels America’s economic innovation and prosperity. With more riders, this gives more opportunities and desire to start more bike related or bike-friendly businesses.